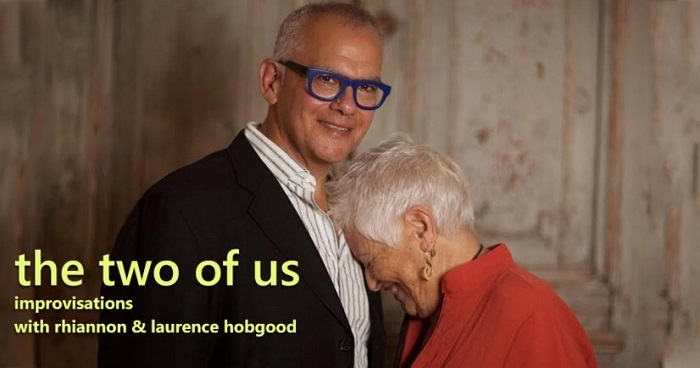 Rhiannon and Laurence Hobgood join hands and voice in this project of improvisation and jazz standards. Contemporary virtuoso pianist, collaborator, composer, multiple Grammy nominee and 2010 Grammy winner Laurence Hobgood has enjoyed a dynamic career. Perhaps best known as musical director for singer Kurt Elling from 1995-2013, Hobgood co-produced ten of Elling’s CDs, each Grammy-nominated. Dedicated To You: Kurt Elling Sings The Music Of Coltrane and Hartman, recorded live at Lincoln Center, won the 2010 Grammy Award for Best Vocal Jazz Record, with Hobgood receiving one of the coveted statues for his work as producer. Rhiannon & Laurence have appeared in New York and on the west coast, and are available for bookings in the United States, Europe and beyond. Coming Soon: stay tuned for details for their April 2019 tour in Australia.